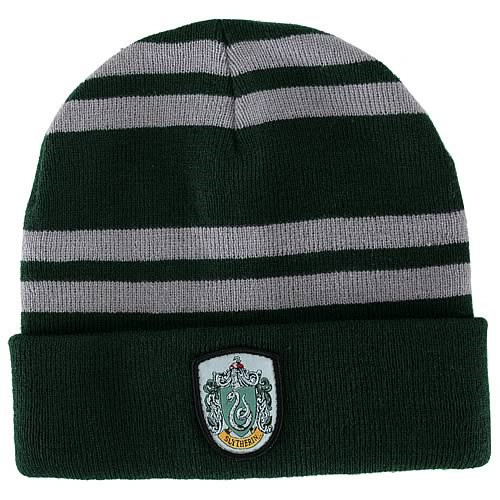 Harry Potter Slytherin House Beanie Hat. This officially licensed beanie is made of lambs' wool and features the Slytherin Coat of Arms patch. Makes a great addition to any Harry Potter costume or ensemble! One size fits most adults and kids ages 12 and up. Order yours today!